Read on for a draw snatched from the jaws of defeat, some truly swashbuckling chess, a classic writeup from our Reporter of the Year, and details of the January 2019 ECF grades! Hammer 2 were forced to walk on a knife edge to secure the 4-4 DRAW against a combative DHSS side in London Division 4. We managed to put out our strongest squad of the season so far, yet still found ourselves running toe-to-toe against everyone’s favourite government department. After all, the others don’t provide free tea and biscuits…! Looking at the grades, our opposition had the slight edge over the top 4 boards, and we had the advantage over the lower 4. And thus, the results tended to edge that way too. It certainly wasn’t as straightforward as that though. Sheikh appeared to have the advantage in a fairly tricky endgame. Certainly the material favoured the Hammer man, but his opponent had a raiding a-pawn which proved problematic as it moved up the board. 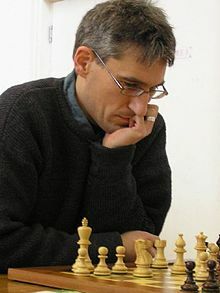 Tommaso was also disappointed as he blundered material in a relatively even position, playing into a time disadvantage. It looked a very un-Tommaso position. I don’t think there were any captures within the first 16 or so moves, resulting in a positional struggle. You normally expect a King-walk at that point in one of his games! Adam continued his fine run of form with what looked like a fairly comfortable win against their captain. Playing as Black, he faced a dangerous looking pawn storm, but then the decision was made to castle behind the pawns. It seemed an odd decision as suddenly those pawns became a liability! The position certainly suited Adam and tactics abound to help him run out the victor. Charlie and Chris also helped chalk up points onto the board, scoring a half and full-point respectively, but probably from positions that looked precarious at best. With both players short on time, and in a cramped position, Charlie offered his opponent a draw, which was gratefully received. Further computer analysis suggested he was actually -8.0 with correct play. Maybe that was a case of the superior grading working to our advantage. By his own admission, Chris made a hash of the opening and found himself a couple of pawns down with little compensation. His natural attacking instincts kicked in and he offered a Knight sacrifice in order to prepare a crushing attack. Only problem was that he planning on using that Knight in the attack…!! (great analysis in the pub). Still, he clearly had his man spooked and he soon blundered his Queen, handing the win back to our man. Brian succumbed following persistent pressure after finding himself down the exchange, and we were staring defeat in the face. Down 2.5-3.5 with Paul and your captain to finish. At this point, Paul’s match looked dead drawn and I was struggling to avoid being mated, after having the edge in the match for some time. My only salvation was that we were both short of time. Moments later, I wandered over to Paul’s board hoping to see some unforeseen masterstroke to bring us victory, but instead I saw two players shaking hands and agreeing that it had looked drawn for some time. 3-4 down. All the focus was now on my match, with the inevitable pressure of 6 blokes stood over your shoulder watching your every move. Something to focus the mind if ever it were needed! It was now 2 rooks and 4 pawns vs. my bishop, knight and 3 pawns. Two minutes apiece and with the advantage still very much with my opponent, he missed a couple of chances to force exchanges which would have extended his advantage. I improved my rook into an active position and clawed my way back somehow. With time ticking away, he allowed a cheap-shot checkmate with a rook check, and his escape square covered by my Knight. Extremely lucky, but somehow it rounded out the 4-4 DRAW. Relief all round. Here’s the game. I’m afraid the last few moves weren’t captured due to severe time pressure! Next up is Morley College on Friday 25th, and then we have 3 quick fire matches in February. Please keep your eye out for that mail! Plenty of chances to play coming up over the next few weeks. A truly stunning game (which he won!! ), courtesy of Tony “The Surgeon” Nicolli! It was a grey night as I trudged towards the Old Actonian Sports Club, built in some kinder era to remind us of our country’s venerable sporting culture, football, cricket, and other sports. This was the end of January, and I recalled Beware the Nones of January, for the tax man cometh, and rules over the land with cold iron. Not auspicious anyway, and I had shaved that morning, courting disaster as Samson has foretold. Very much, this was a match in 2 halves, with our Stalwarts Paul K, John W, and Brian D on the top 3 boards, and 3 young’uns un the lower boards: Kostis, Javier, and David S.
For the first hour it was very quiet, and I was able to admire the spacious accommodations, with each player separated by about 10 foot or more from his neighbour. New flooring and fine wall decorations made it all so much better than the Citadines. First to stand was Brian Dodgeon, however, with a draw. Perhaps he sensed the outcome, because he begged off the offer of a drink and left quickly. Then in quick succession the two bottom boards tramped out, with losses both, score 0.5-2.5. Bu yes, John White stood up, shaking his head, and – apologetically perhaps – said his opponent had flagged out. 1.5-2.5. So it went, with Kostis and Paul adjourning eventually. 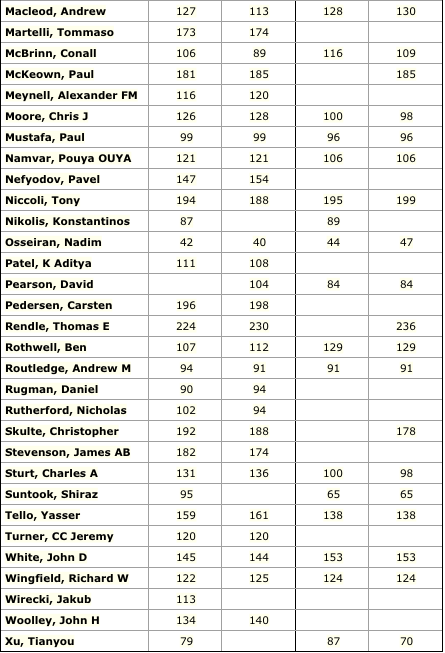 Overnight, the adjournments were settled – a draw by top man Paul K and a loss conceded by Kostis. Final score, 2-4, Ealing winning. Fitting defeat perhaps, overhead a wan red moon could be seen dimly in the dark sky as I trudged back to the tube. 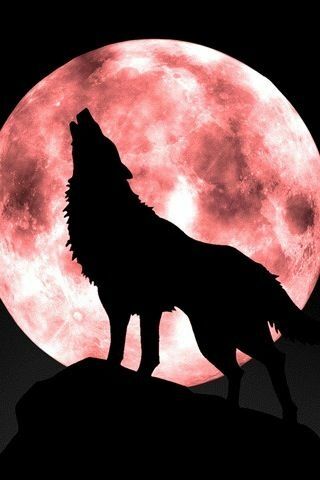 I could almost hear the wolves baying for blood in the far hills. Our stalwarts played or caused to play 3 Sicilian Openings. Our top half tends to score at par, which is to say average 1.5 per match over 3 boards. Our bottom half tends to determine matters, they can win or lose the match. Bottom boards better learn the Sicilian or its Grand Prix white variant. The full Hammer roster is beneath, and also available on our Members page. El Chess Up in a Brewery – it’s on! 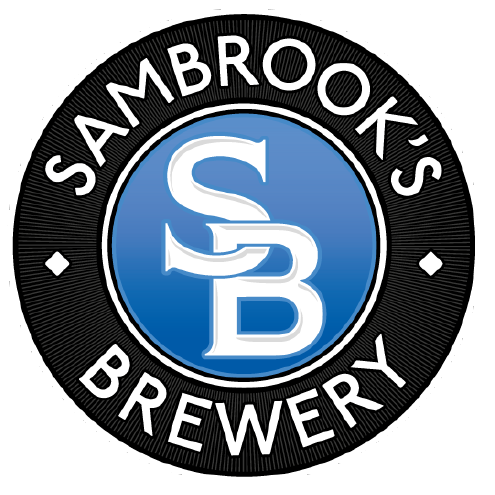 This Saturday 26th, Hammersmith will be taking on local upstarts Battersea, in a Rapidplay tournament at the home of Wandle, Sambrook’s Brewery! Starting at 1pm sharp, and running all afternoon (until roughly 5pm), we’ll be in the taproom at their Brewery on Yelverton Road, SW11 3QG – nearest station, Clapham Junction! It will be 15 minutes per game, with 3 sec increments, with some handicaps for extreme grading differentials. It’s going to be a fun day, and we hope to see you all there – the venue is superb and the beer outstanding, and well-priced! After the success of last year’s event, the second season of the Hammersmith Rapid League got underway last Monday. Six teams, five nights of chess, four boards, three senior chess teams, two junior chess teams, and one footy stats team… sums up the 2019 incarnation nicely! This is the league where you play two games of rapid chess against the same opponent each night – one as black and one as white. All the games are rated and count towards an ECF rapid grade. What more could any chess player want?? To the matches – the first round saw some really close matches with an internecine battle as the Tigers took on the Lions, Football Radar taking on Battersea, and Hackney squaring up to the Hammers. This was a seriously competitive match with a real heavyweight clash on top board, and the other three all closely contested. All the games went to the bitter end with no quarter given. 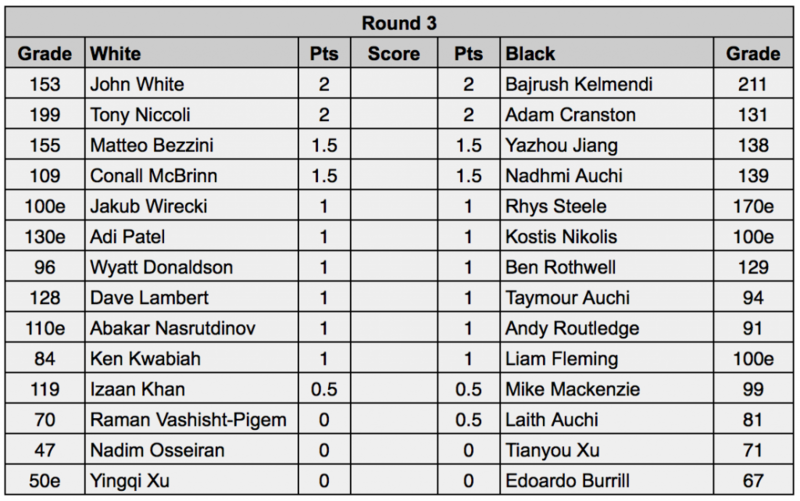 The Lions shaded it in Round One, with wins for Connall and Xu. Taymour struck back for the Tigers and the top board was drawn. At the halfway stage the Lions had sneaked ahead, 2.5-1.5. The Tigers had been wounded but were not down – the come back was possible. Plus we all know there is nothing more frightening than a wounded Tiger. The second round saw the Tigers go to work and with three wins and a draw they swept to a well-deserved victory. Both these teams will be serious contenders for the title. This saw the clash of the newboys. Football Radar, and our beloved Frenemies Battersea. Things did not go well for the Footy boys in the first round and they succumbed to a narrow but decisive 3.5-4.5 defeat. This match really could have gone either way and Battersea can consider themselves very unlucky. Great performances from both Alistair of the Radar and Darius of Battersea, who both went 2-0. The game that attracted my attention was the second game between Alistair and James that had a very nice tactical sequence. It is one that will hopefully feature in a later posting. Following the trend set by the other two matches, the Hammer boys were leading 2.5-1.5 at the halfway point. It could have been a half-point more but for a tactic missed by Wyatt. That game was the longest of the first round and could have gone either way. In the end, stoic defence from Wyatt secured the half-point. However, the Hackney boys were not down, and definitely not out. They rallied superbly in the second round of games with three wins on the top three boards. Dipli bravely held the line on board 4 against Hackney captain, and great bloke, Bryan, but alas could not prevent Hammer going down 3-1. A tough loss for Kostis to take, especially in his captain’s debut, but he can feel proud of his team. Congratulations to captain Bryan and the Hackney team – they really fought back well. The sportsmanship in this contest was totally indicative of the whole evening, and all teams and players must be applauded for that. Roll on Round II – we look forward to seeing all the teams back on the 29th of January! With Adam away gracing Europe’s ski slopes, it was left to your author, Dave, to captain the Hammer side in Middlesex Division 3, as we took on Harrow 2. Fortunately we ran out 4.5-3.5 winners which meant I could welcome Adam back with some good news! 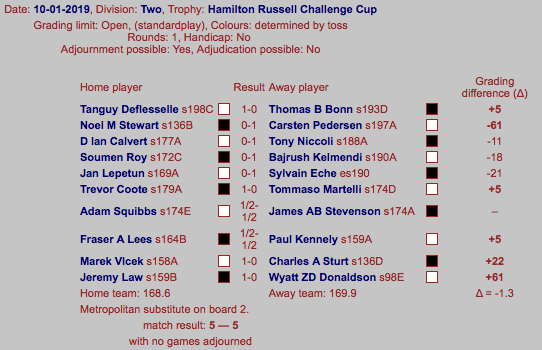 In the end, a very satisfying victory against a side almost matching us grade-for-grade as we moved down the board order. Even more so when you consider that we started the match 1-0 down due to a default. Very well done one & all… ! I’m able to present two games for your enjoyment here, both of which ended up as full points for the good guys. 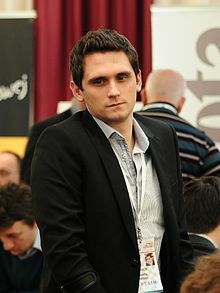 Brian secured the victory with some aggressive play as White in a Sicilian Najdorf, creating complications which ultimately led to a tactical mistake from his opponent. Some fine play, particularly when trying to make up some time on the clock. Your temporary captain for the evening took home the point after playing out a slightly unusual encounter. Playing as Black, I felt I was slightly on the back-foot for the first 14-15 moves before my opponent exchanged several pieces. Each exchange seemed to favour me, and before I knew it, I had some fairly well-placed pieces, with the threat of mate or serious material advantage. Resignation soon followed. Keep your eyes peeled for upcoming games, when normal service resumes under Adam’s stewardship. The lovely folk who sponsor us, Chess & Bridge, are happy to offer any Hammer Members a FREE 3 month subscription to Chess magazine! To claim this offer, simply drop them an email info@chess.co.uk or call them (020 7486 7015), and provide your name, address, telephone and email – of course, mention Hammersmith Chess Club! Offer is valid until the end of Jan, and it is well worth signing up – a great magazine, and 3 free issues is a great offer! As fellow lovers of the game, John Jackson, the CEO of Chess-Site, and his team, have written up a wonderful and generous profile of Hammersmith, as part of their mission to produce a definitive one-stop resource for the game. Their website contains a ton of useful information for chess-lovers, and is a terrific resource for anyone with an interest in the game. Well worth a read and a share, and we thank John for taking the time to profile us. Long may the association continue! Happy new year to all my Hammer colleagues and comrades. We began the first of six matches in January/February with a visit to one of our main rivals for promotion. The anticipated difficulty of accessing their base somewhere in the depths of Middle Earth did not prove to be quite as baffling as anticipated, the match however was a sterner test of our resolve. My apologies for being blunt, but an issue has been growing over our opening four matches which I cannot avoid mentioning. How seriously does Hammersmith, both as a club and we as individuals, really care about having a team in London League D1? Of course, I fully understand that we all have very busy schedules, of which chess can only be a small part. Also, as a relative newbie, perhaps it is not for me to say. But still, with our resources, while promotion to D1 should be very do-able, the reality is a little different. As it stands, our promotion chances appear rather slim. For whatever reasons, a sizeable minority of nominated players are unable to play regularly. A very unhelpful state of affairs. This is then compounded by the restriction on bringing in players from second and third teams, since this would quickly bar them from those teams. Worse still, our fixture list is so congested that asking people to play at short notice is rarely successful. One thing I would ask for is for people to at least reply promptly (or indeed at all) to say whether they can play. A “no” is much preferable to no response. Okay, with that little moan over with, on to the match. I will say that everyone gave the proverbial “110%” effort befitting a Hammerite. Particular thanks to those stepping in at short notice. The match went very much to expected grading results. Although Thomas lost a complex struggle on top board, Carsten, Tony, Bajrush and Sylvain powered to convincing wins on boards 2-5. Bajrush continued his imperious form with a fourth straight win in his inimitable style. Hopefully he will be annotating his game for us shortly. We were also assisted a little by Met’s late substitution on board 2. Alas, the engine room stalled a little on boards 6-8. Tomasso going down, while myself and Paul laboured in vain. The last two games to finish, both ferociously fought, saw Charlie and Wyatt finally forced to tilt their kings in defeat. Nonetheless, great fighting chess by both against much higher graded opponents. So the match ended 5-5, which can be interpreted in either glass half full or glass half empty mode as you prefer. We play five more matches before the end of February – Hammers, over to you! London League Blitz/Rapidplay – the people have spoken! 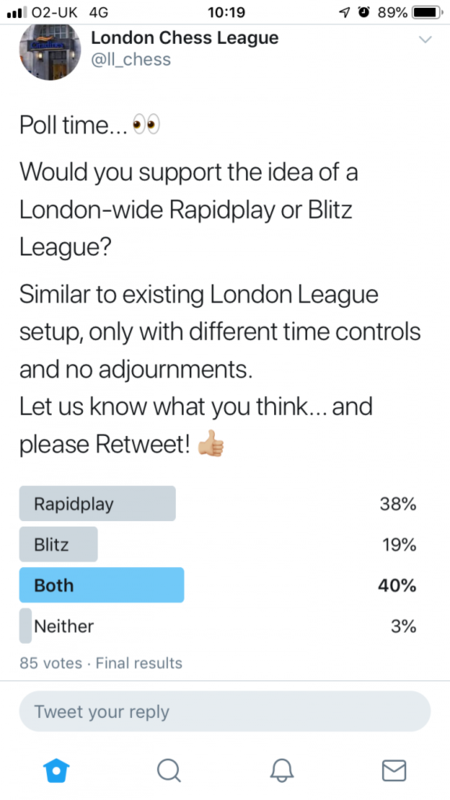 From social media this week, the London Chess League (@ll_chess) were spotted canvassing opinions for a new, London-wide Rapid or Blitz league using a Twitter poll. The results were more resounding than the Prime Minister’s recent defeat – with a whopping 97% of respondents in favour of the launch of a London-wide Rapid or Blitz (or both!) league. Food for thought indeed… we’d be keen to hear the views of Hammerites! 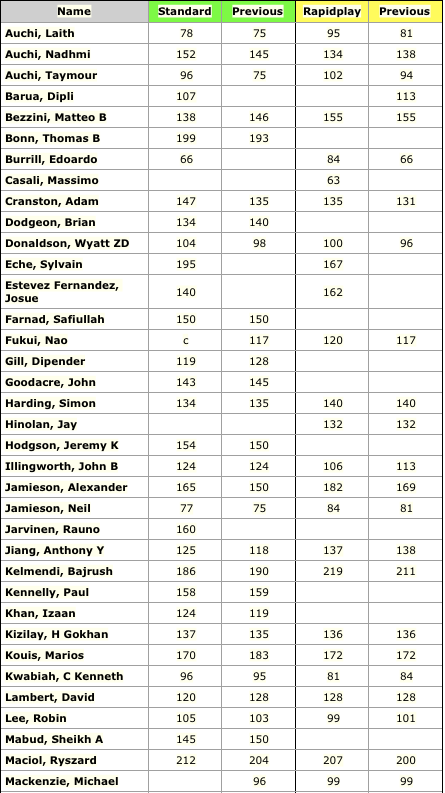 Author HammerPosted on January 16, 2019 January 16, 2019 Categories Club Updates, Games, General Chess, Team CaptainsLeave a comment on Hammer Goes Global! The Hammer vs Battersea Sambrook’s Club Challenge! 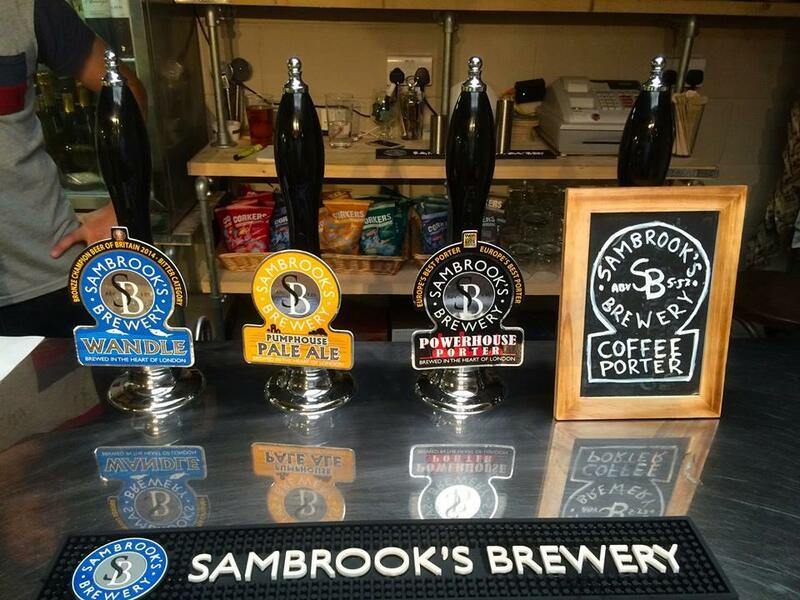 The world’s first “Chess-Up in a Brewery”! The Noisy Neighbours, Battersea, are still smarting from the El Chessico encounter two months ago, and are thirsting for revenge. The indisputable thirst that chess players have for the combination in liquid format of hops, barley, yeast and water. Hammer will never not be thirsty for a chess challenge. A thirst that must – and will – be quenched. That is a lot of thirst. We have the answer. Yes, the first “Chess-Up in a Brewery” challenge has been arranged, and you bet those Battersea Boyz want revenge! So, we need 14 Hammers to step forward and volunteer for the challenge match! It will be strictly first come, first served, so get involved quickly if you want to play – it will be a brilliant event! Please email john.white49@ntlworld.com ASAP to reserve your spot! Captain Clueless – also open to beer bribes to get on the team! Author HammerPosted on January 10, 2019 Categories Club Updates, Games, Tournaments2 Comments on Chess-Up in a Brewery!! Yes, with the Christmas and New Year festivities done & dusted, Hammer Chess Club members and minds – like a TUI Boxing Day advert – are switching to thoughts of destinations for a Summer holiday. In the past two years Hammer have sampled the delights of the beautiful cities of Amsterdam and Cork in search of Summer chess satisfaction. The 2019 destination will be Wroclaw, in Western Poland. Formerly known as Breslau, and situated on the River Oder, it is the fourth largest city in Poland. 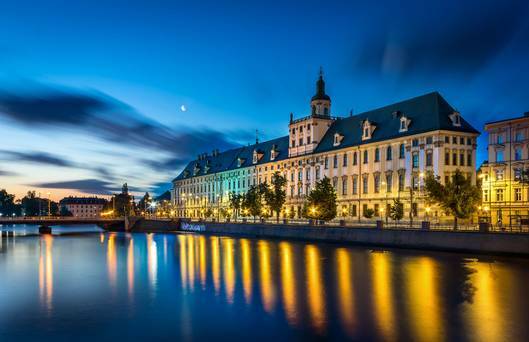 Beautiful Wroclaw beckons this Summer! It is one of the most stunning and beautiful European cities, and the trip will encompass chess, culture, new friendships, and the odd beer or two. 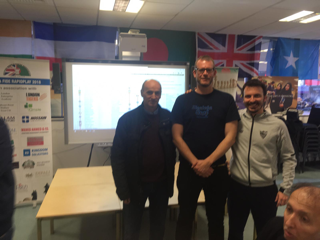 I must thank Artur and the Wroclaw Chess Club for agreeing to host us, and we will certainly reciprocate with a return visit (fingers crossed!) in 2020. From a chess point of view, Wroclaw are a top chess club and this will be a brilliant chess weekend. I must also thank Ryszard for introducing me to Artur, and must also emphasise the strong ties between Hammersmith and Poland. The Polish Cultural Association is based in the heart of Hammersmith and is a visible example of the friendship and historical ties between our countries. The visit will take place from the 7th – 9th June. I have just booked my flights and am returning early Monday morning (10th June). Email Clueless at john.white49@ntlworld.com, stating that you wish to come! 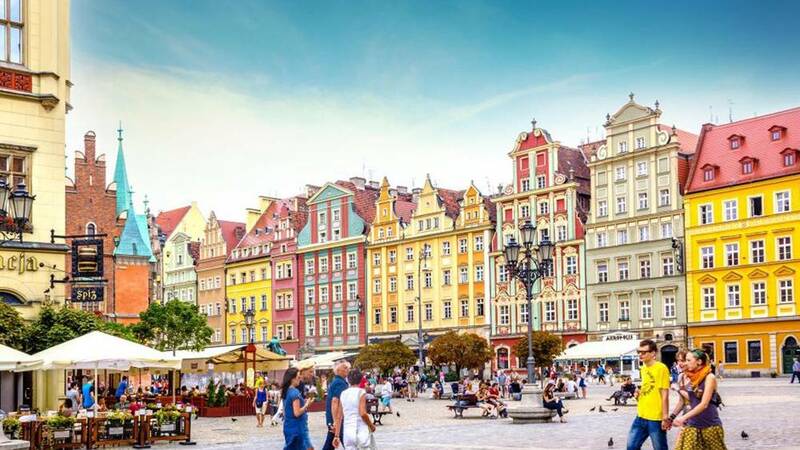 Next, book your flights – Ryanair and Wizz airlines both fly direct to Wroclaw. Contact Clueless if you would like to share accommodation – probably airbnb. Please respond ASAP – the Hammers who have been involved in the last two trips had a brilliant time. This is going to be an amazing weekend! 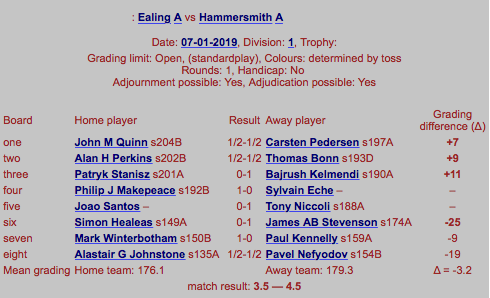 Plenty more is coming up this month too – The Hammersmith League kicks off again this coming Tuesday 8th, at Lytton Hall, with a second round of fixtures on Tuesday 29th. Captains have already begun arranging their teams – if you are yet to be contacted, please get in touch. The Celtic Tigers have a match weekend coming up on the 12th and 13th – expect a report the following week once the dust has settled! 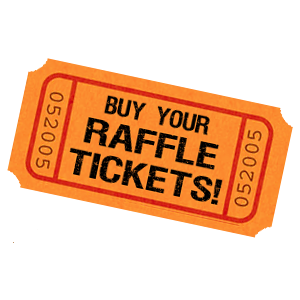 If you’ve not done so already, you may wish to purchase a ticket or two for the Raffle being organised to raise funds for Hammersmith and the Celtic Tigers. There are dozens of prizes to be won – including some really valuable training sessions with top players – and the odds are very favourable! And last but not least, Hammersmith is fielding teams in a further 22 competitive games this month. In fact, there are only 3 weeknights where we’re not in action – amazing! Check out the Calendar for details. Yes, another first for Hammer members and a great way to help raise monies for the club, and our 4NCL affiliated sister club, the Celtic Tigers, and possibly bag yourself a top chess prize…. presenting, the Hammer & Celtic Tigers Raffle! Chris Skulte, the Celtic Tigers Captain and a true Hammer, has put some serious effort into this and we need your help! With the raffle strictly limited to 150 tickets, there is well over a 50% chance of winning at least one prize! Hammer members have the exclusive rights to buy tickets until 25th January, after which the chance will be offered to the wider chess community. The draw will take place once all tickets have been sold. This is a unique chance to get a serious piece of chess training or equipment. But remember – you have to be in it to win it!! Due to the limited number of tickets, they’ve been priced at £10 per ticket, or £15 for two. If you’d like to take part, simply email Chris – chrisskulte@gmail.com – or ping him on the Hammer Group WhatsApp with your requirements. It couldn’t be easier – get buying, and good luck! They are selling fast!! Festive greetings to you all! And thanks to everyone for getting your games played in time for Round II of the Rapidplay Competition. Congratulations go to Andy on this occasion, who scored the only upset of the round! The deadline for Round III is Monday 28th January. Please arrange your games ASAP and enter the details into the fixtures spreadsheet. Ryszard, aka “Breslau”, took part in the Weekend Open this year at Olympia. Here, in his own words, is the tale of his journey. Spoiler alert – he got joint-first place and should have won – he deserved it!! The first round was on Friday evening. I got to Olympia early straight after work and had a meal before the game. No beer – so already huge sacrifice. I was ready for the first game. So, it starts with an 1800 chap. He played a Slav where I always exchange usually with great results because I do not know anything else. However, I decided to try something else this time. Not sure about 6.g3, already maybe not so good and just leading to a draw after Na6 7.Bg2 Nb4 8.O-O Nc2 and repeating moves. So, I realised I needed to go crazy. After move 11 he is already doing very well but makes bad decision 12…Bd6 – one of those naive move many players would play. 12…Be7 and maybe not even enough compensation for white. Life after Bd6 was beautiful for me! Second round after magic eggs and bacon from host Cluelesss. This one I struggled the most with. I do not know how to play black – I played 1….e5 for the first time in a long game I can remember. 5…Nge7 is not so good setup. I was not expecting he plays e4 as it was not what he played in games available online. But ok it is chess and you need to defend sometimes. Move 15.Nd4 ed4 16.Bf4 was more principled and I would really suffer without any counter-play. But even in the game it is bad. I believe his mistake was 22.Ne7 after which it should be a draw (I have not checked with computer so may be wrong). 22.Re5 Be5 23.Re5 and it is very tough for me – close to lost. After this I slowly outplayed him as I ensured I kept more time on the clock and he still believed in the ghosts of the great position he had. This is following Socko’s chess advice that time is the most important factor. Move 12 was critical for both sides – Be7 just blunders a piece. 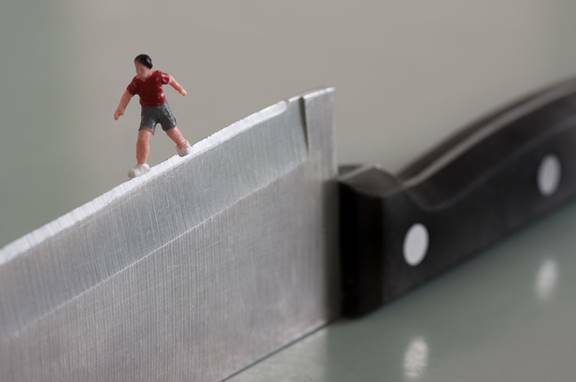 Qe8 is only one move that allows a defensive but still solid position (the computer agrees). Qc8 has been played in the past but black is already under pressure – research showed black is lost in all but one game I found online. This followed a game from Kramnik-Kasparov in their WCC match. That game was Bg5 not Qe2 on move 10 and the queen landed on b3 then Re1 with a quick sacrifice on e6 though not winning. 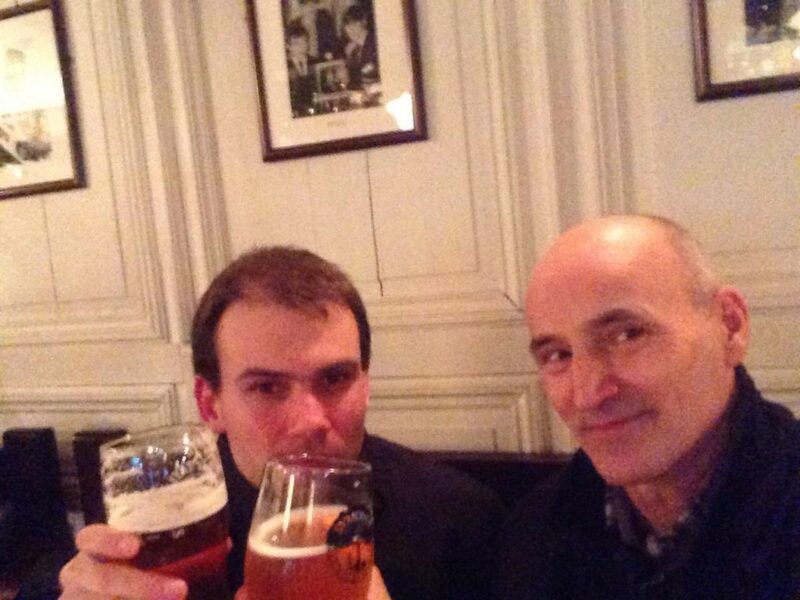 However, Kasparov couldn’t hold the pressure in such position. And I am now sharing first place with 3 people. 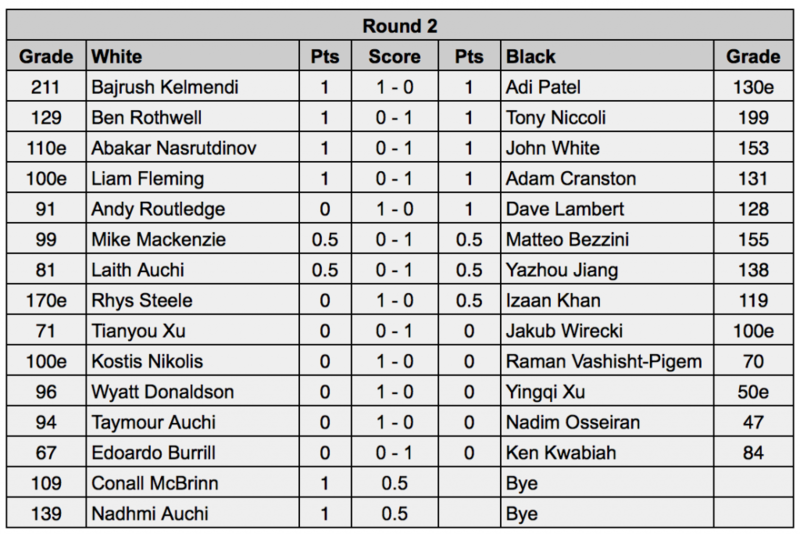 And the last round was real fun – unfortunately I did not execute when I had the chance! A lot of really great lines behind the scene! I should have gone for a quick 9.b4 after dodgy 7…Nc6 and 8…Na5. But the point is that I wanted a quiet game with a small edge as the draw gives shared first, just didn’t want unbalanced material and he thought for a couple of minutes and I didn’t. I kept time advantage for the whole game but the game was not quiet!! Computer thinks it is equal until 27…Bd7. 27…h4 is the move, recommend to study it for a while without computer which we both did during the game! Move earlier 26…b3 is what I was expecting with the forced draw, again far from obvious until you see a few moves further. Recommend to study for yourself! Then it is winning in style for white after 27…Bd7?. I just blundered a piece in move 35 (Qb4 and Ne5 are just winning with Ne5 forcing checkmate or big losses). I get a piece back next move and funny enough position is just equal. I offered a draw at the right moment as he needed to calculate huge amount of lines and accepted it with 1 minute vs 7 minutes on the clock.